Kishan P. Bhavsar is an Associate in the Firm’s Princeton, New Jersey office. His practice focuses on Commercial Litigation, Corporate Asset Recovery, Corporate Law, and Creditors’ Rights and Bankruptcy. Prior to joining Wong Fleming, Kishan served as legal advisor to a real estate development firm. 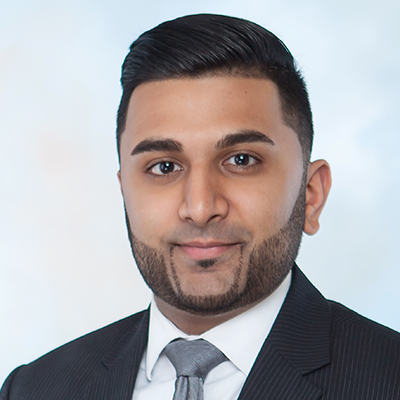 Kishan also held a position as a finance manager at a management corporation with subsidiaries involved in franchise development as well as commercial and residential real estate investments. Kishan earned his Juris Doctorate at Suffolk University Law School in 2016. Prior to law school, Kishan earned a bachelor’s degree in economics from the University of Pittsburgh.